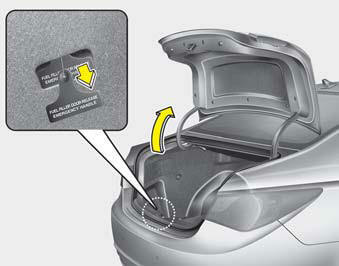 An emergency fuel filler lid release is located in the luggage compartment, on the left side. If the fuel filler lid does not open using the remote fuel filler lid release, you can open it manually. Pull the handle outward slightly.